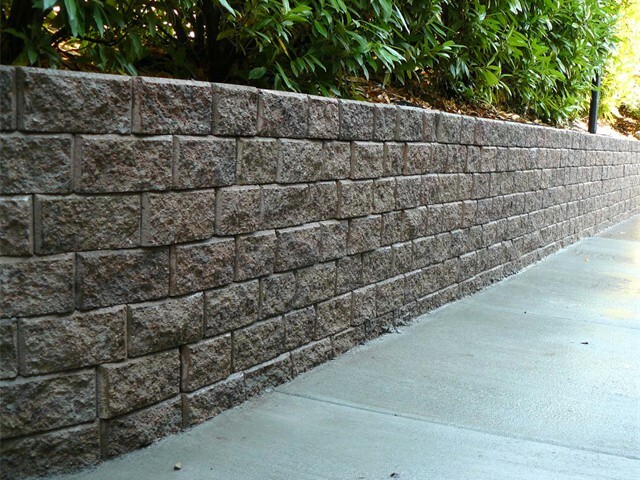 When most people think of these kind of retaining walls, they envision the basic concrete wall blocks you can get at stores like Home Depot. 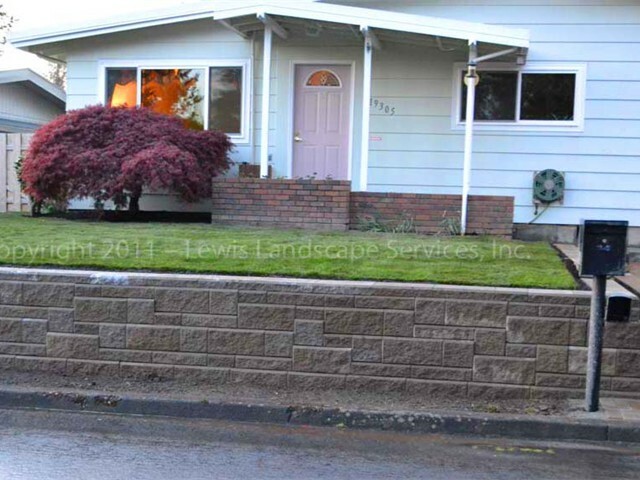 But in reality, that’s just one type of retaining wall block of the hundreds that are available these days. 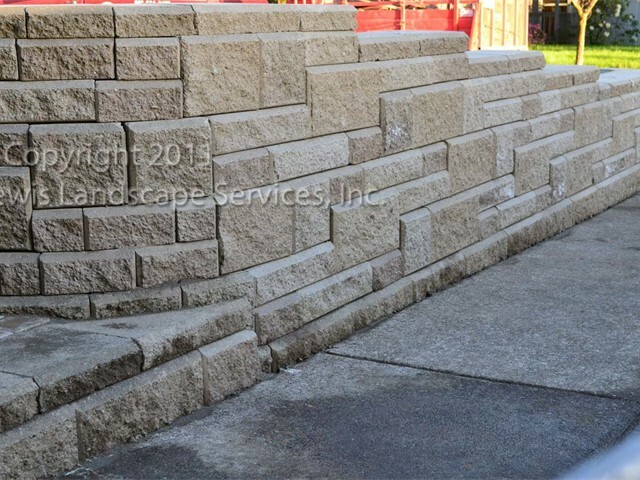 There are a wide variety of wall blocks to choose from. 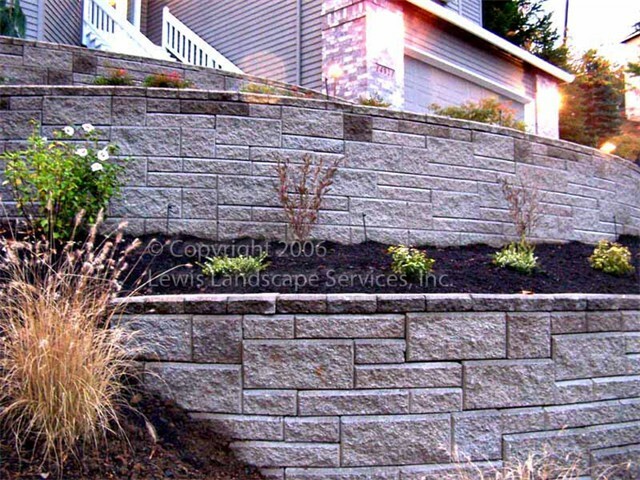 There are two main reasons you’d chose this variety of retaining wall over a rock wall. 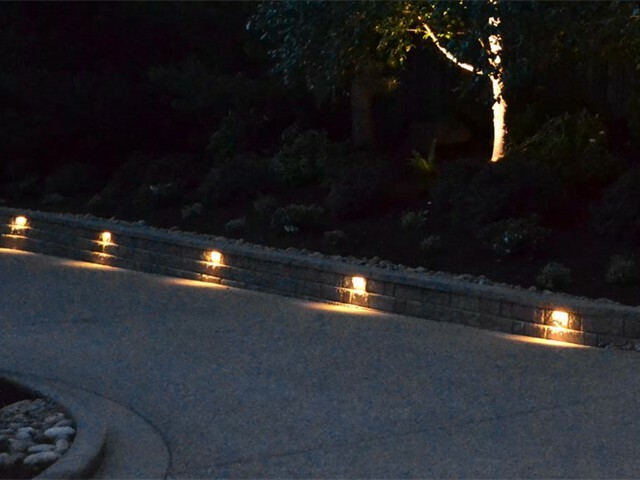 First, to create a formal look. 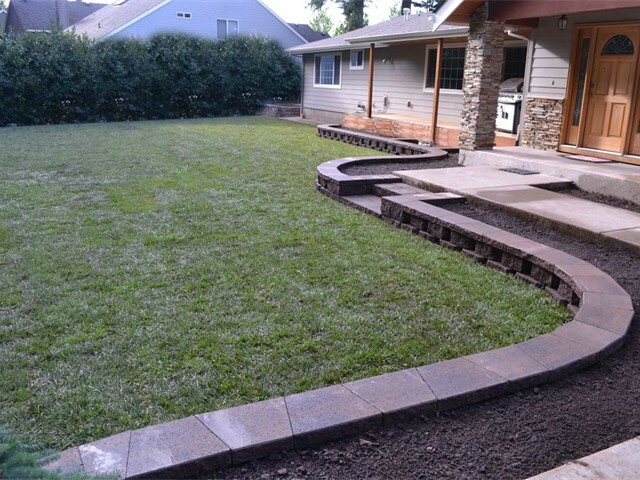 If you have a paver patio or other concrete structures in your landscape or just want to have a more contemporary, formal look then this kind of wall can complement the rest of your landscape or home. 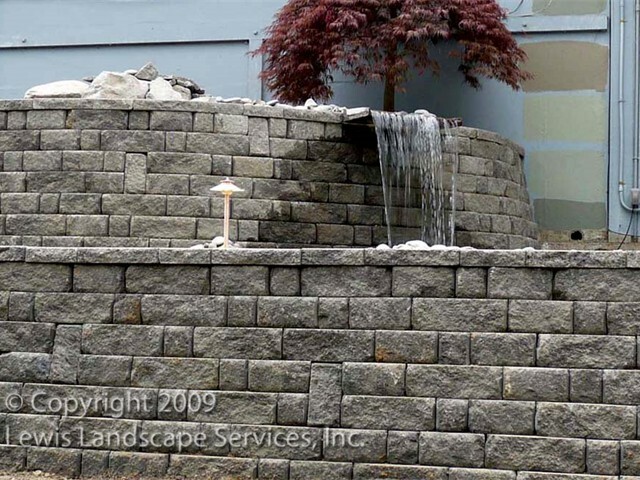 Second, you’d want to consider a segmental retaining wall if structural integrity is critical. 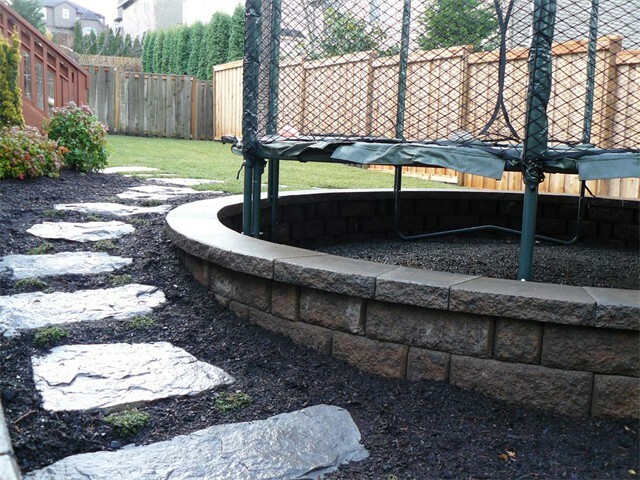 Rock walls can fail or move. 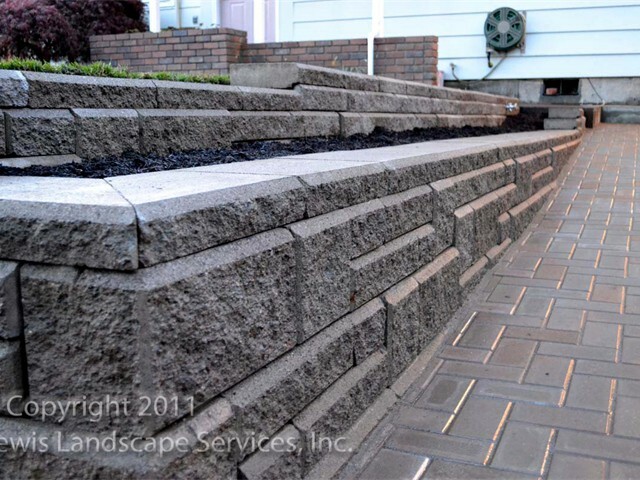 But a properly built segmental retaining wall should never fail. 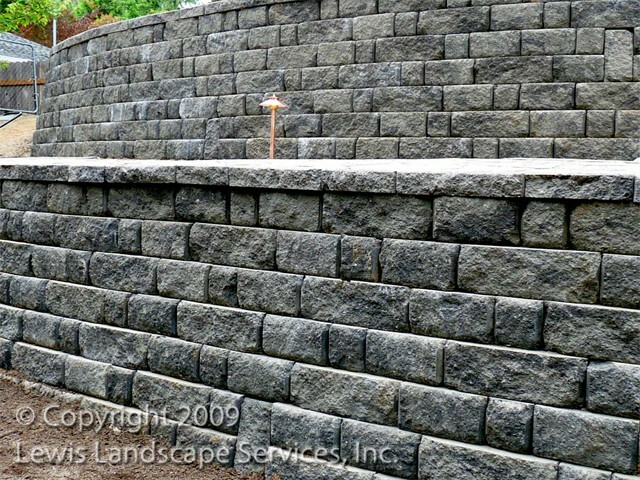 So if it’s important that the wall never fail because of what it’s retaining, then this variety of wall would be the way to go. 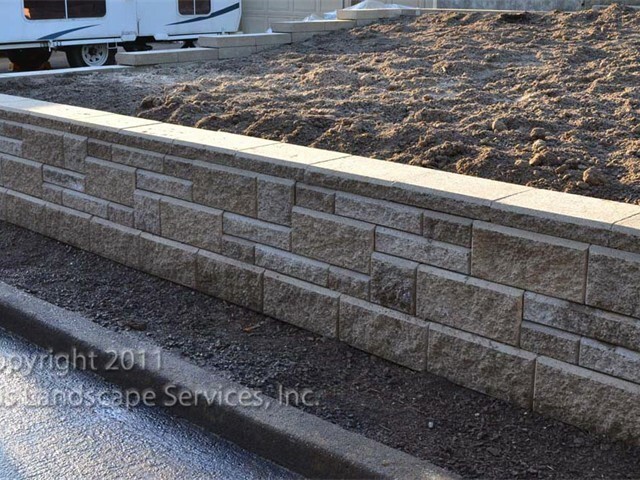 The first thing you ought to consider when constructing a segmental retaining wall is construction procedures and base preparation. 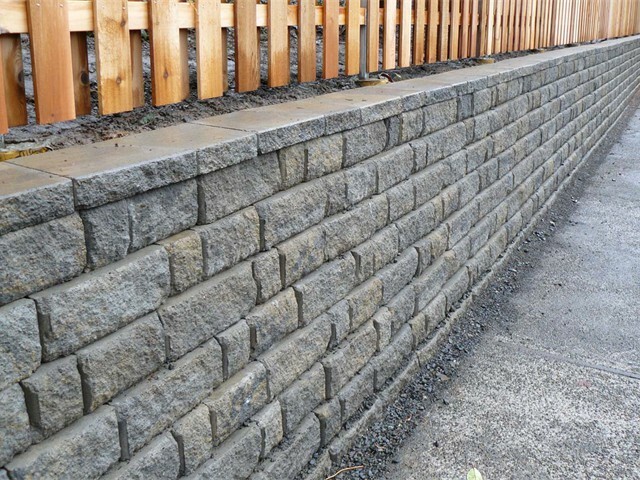 A wall built quickly and cheaply is probably not a wall that will last. 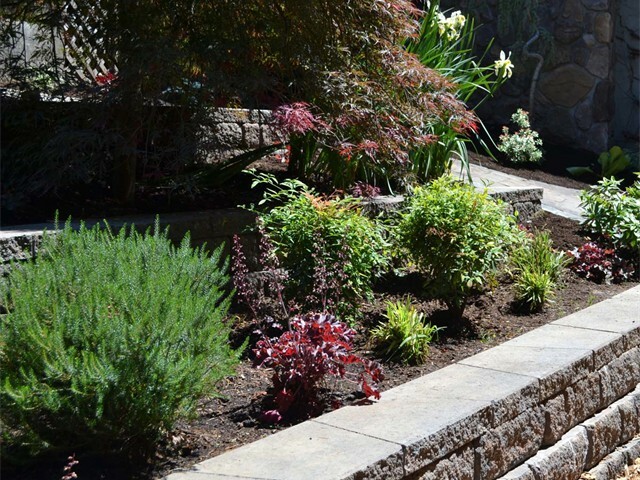 A retaining wall is a functional feature of your landscape that, when constructed well, can be a thing of beauty. 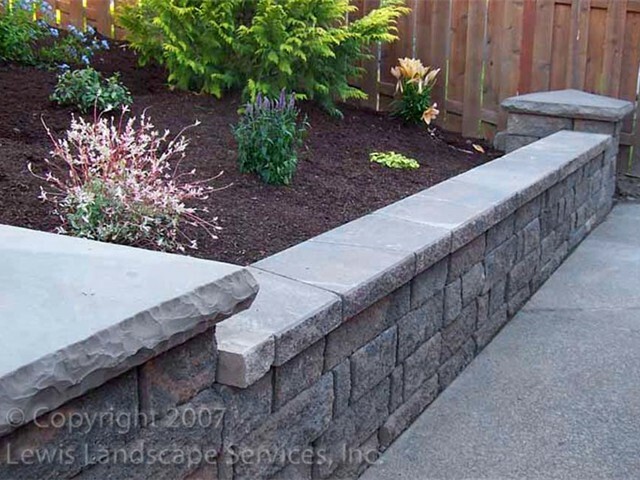 However, a poorly built wall will quickly become an eye sore, even if the best materials have been used. 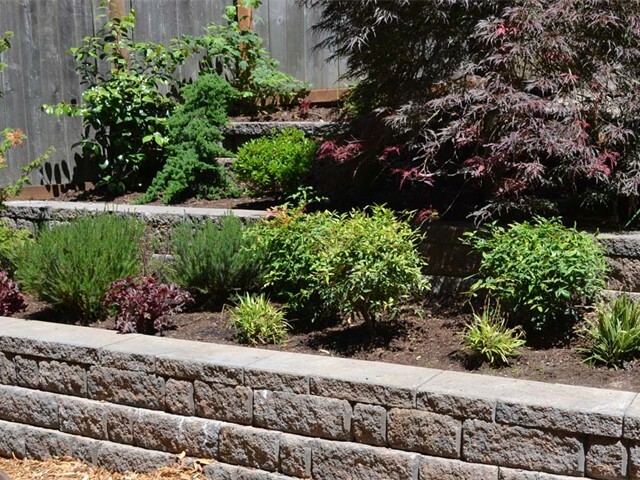 The most expensive retaining wall is the one you have to pay for twice! 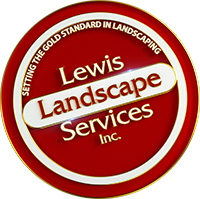 At Lewis Landscape Services, we believe strongly in doing things right the first time. 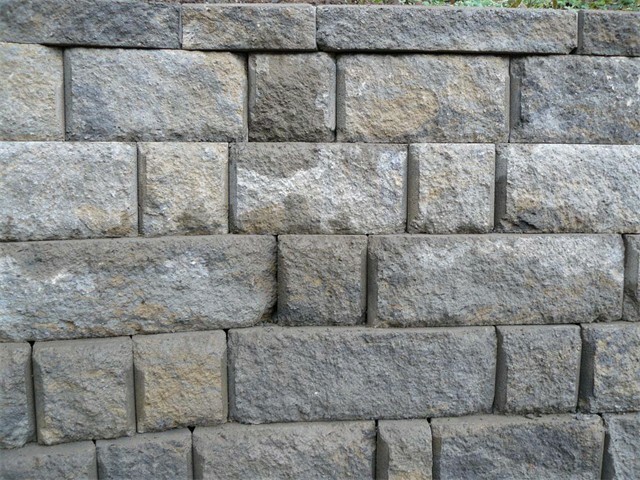 There are no shortcuts accepted when we construct a wall. 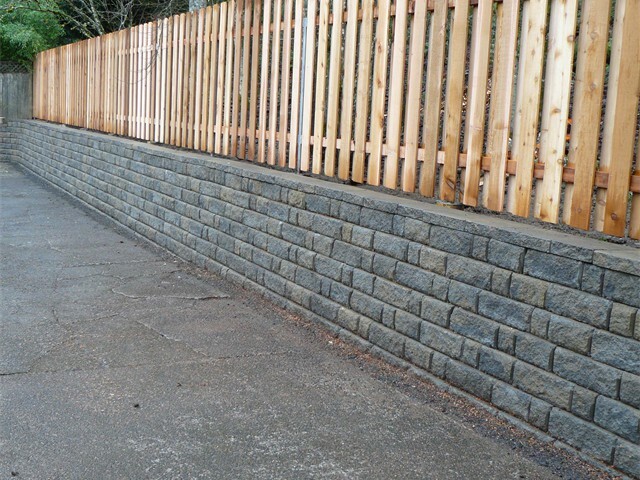 We know that base preparation is key to the final product and throughout the building phase, all rules of engineering will be closely followed. 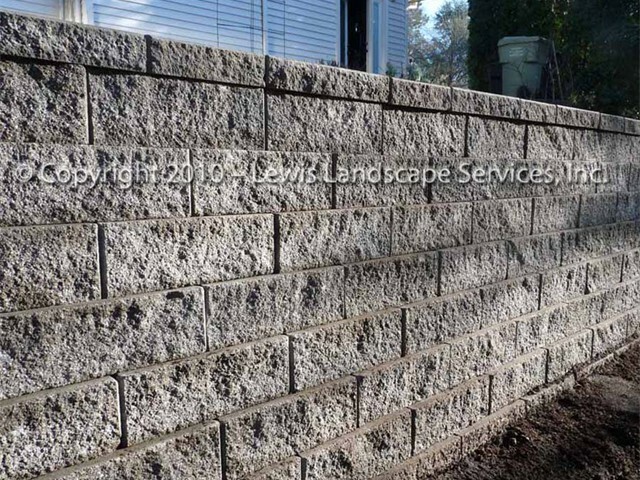 Our installers are Certified Level II Wall Builders (Certified by Allan Block). 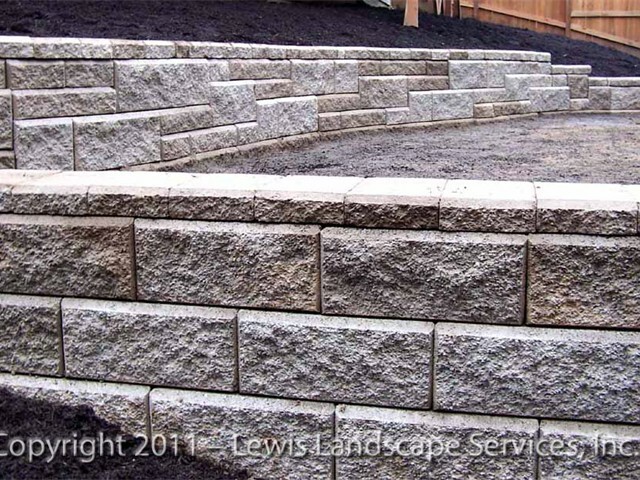 The owner, the foreman, as well as the other installers, are trained and experienced to know exactly how to construct your retaining wall so that it lasts forever. 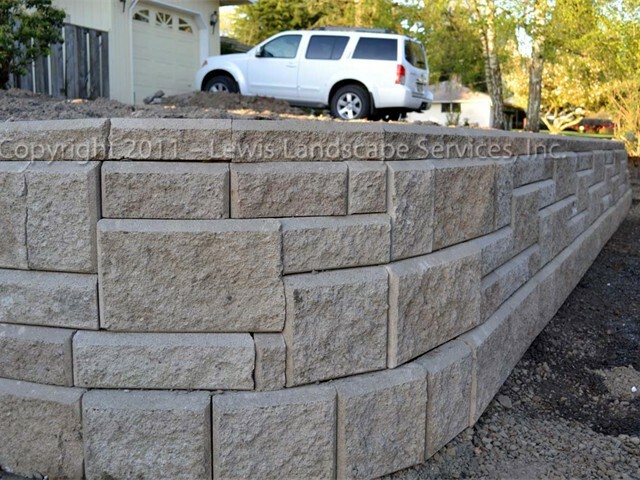 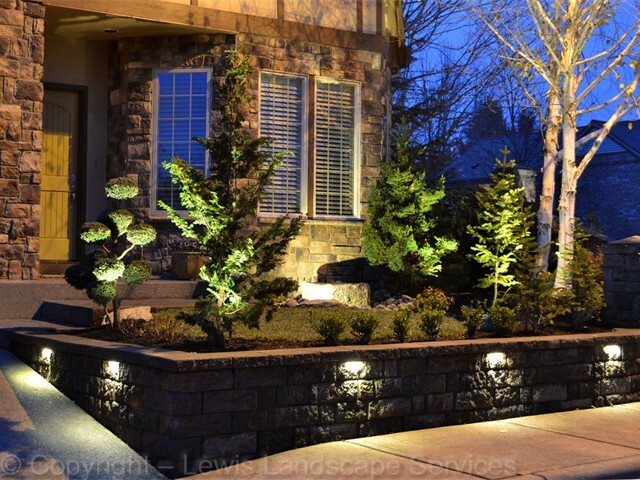 Lewis Landscape Services of Beaverton Oregon, specializes in concrete block retaining walls in the SW Portland Oregon area, and surrounding cities. 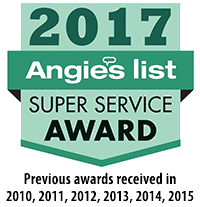 See our Service Areas section for more details.